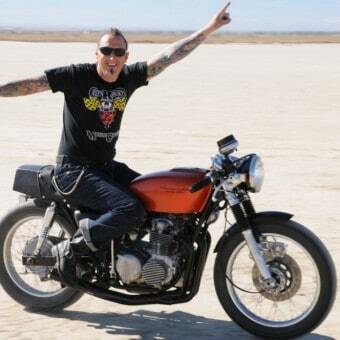 This Sunday I shall be at El Mirage dry lakes for the SCTA Racing. 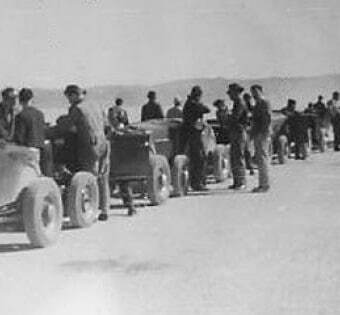 Well, this weekend seems to be coming up fast and on Sunday I shall be heading off to El Mirage to check out what is running on the dry lakes there under the sanctioning body of the S.C.T.A. 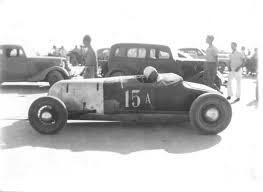 Since 1948 Sanctioned races have been held at this Lake and 61 years later they still run Time trials for world records, for what is a pre-cursor to Bonneville Speed week, this event is a 2 hour drove for me and something I look forward to seeing every time. 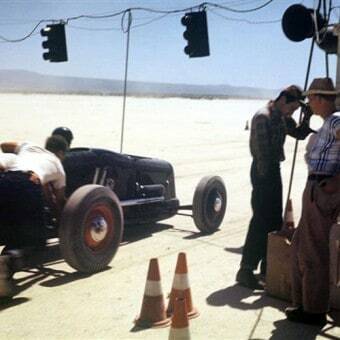 It hot, its dirty and its dusty, but this is exactly how it was back in 1948- Nothing had changed on the lake bed and thats what gives me some of that Nostalgia Tingle when I reflect on who raced out here over the years in Hot Rods and Motorcycles. Saturday is registration, so I shall be driving up at about 5am as its a 2 hour jaunt from me and I shall take my White Traansit 250 with my Royal Enfield in the back, an Easy Up, generator and a cool box full of fluids, I shall also have a radio to tune into 88.7 so I can hear the control tower informing me who is up on the line and ready to make their pass and attempt to break a record, or- at least give it a real go. 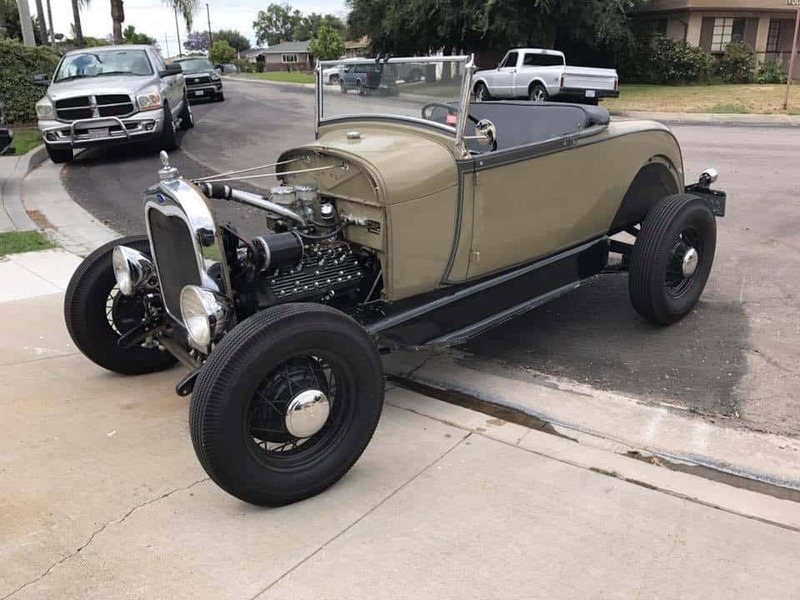 Hope to see some of you out here, next year I hope to drive up for the weekend in My Model A Roadster as It has a 1940’s look with a 39 Motor and box on 35 rims etc I cant wait to drive that on this infamous Lake bed. 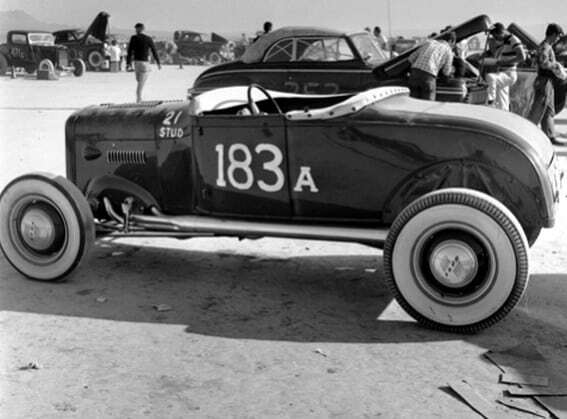 if you are into Old Hot Rods or Classic, Motorcycles or unique machines that haul their arse as hard as they can in a straight line, then this is the place for you, the sound of a motor flat out is a unique sound, the dust plume or rooster tail as it is mid track is a great visual, you hear the motor and you listen for the commentator to tell you their name and speed, I love it. 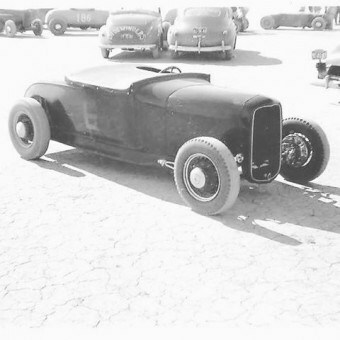 Its like its back in 1948 and I am reliving what the “Original Hot Rodders ” did back then just after WW2. 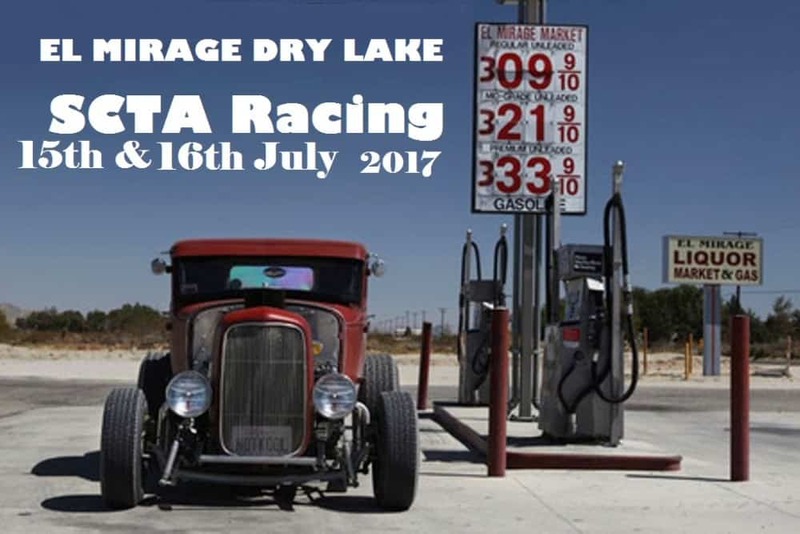 Come by and say hello as it will be great to meet you, I am a huge fan of dry lakes racing and get a kick out of sitting there watching. You can text or call me on 714-598-8392 if you are out there and I will tell you where I am, most probably halfway up the track, Big white Ford Transit 250 and a Red and dusty Royal Enfield. 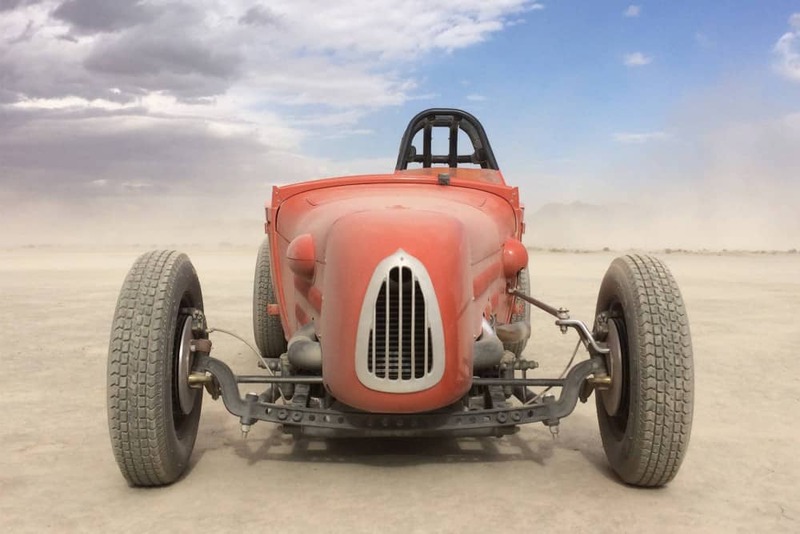 This entry was posted in Blog and tagged belly tank, coupe, dry lakes, el mirage, flathead, hot rod, Jalopy, land speed record, Modified, motorcycle, nostalgia, roadster, scta, speed trials, sprint.